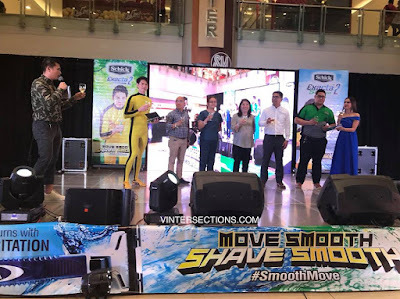 SCHICK PHILIPPINES, one of the most trusted brands in the grooming industry, recently unveiled a new level of smoothness though its latest campaign for 2018 – Move Smooth, Shave Smooth. 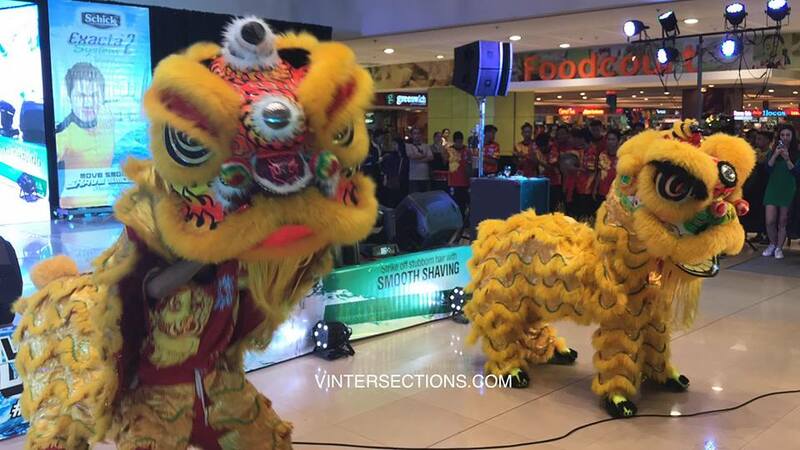 Along with the event, SMOOTH LEE, the “Man of Smooth Moves “ was formally introduced to the public. SMOOTH LEE personifies the man of today – sleek, charming, fun-vibe, active and smart. 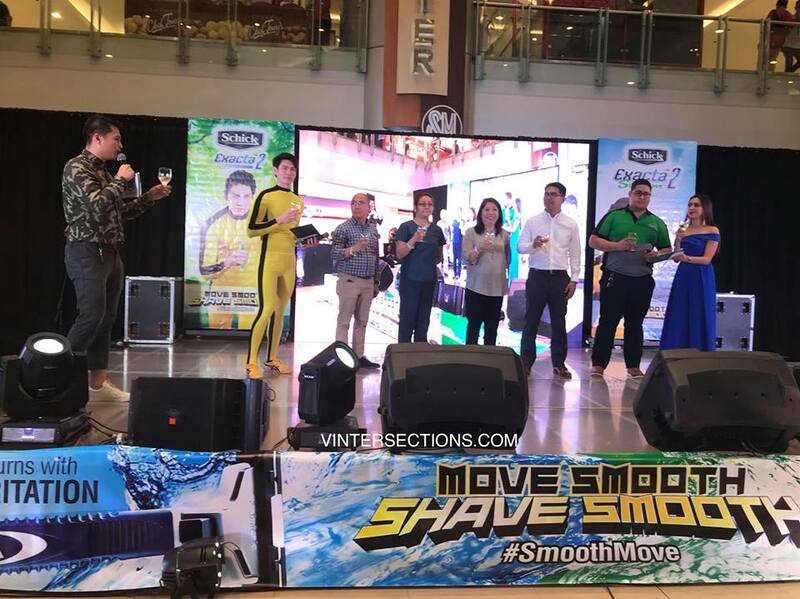 His smooth moves make it easy for him to overcome challenges as he goes through different adventures facing the Shaving Villains. And with the help of Schick, he continues to spread smoothness one shave at the time. 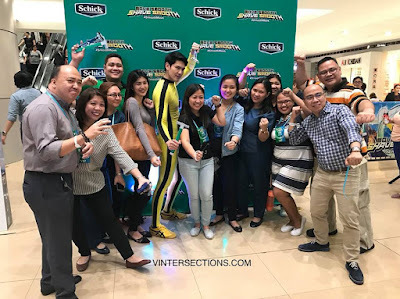 Schick Exacta 2 Campaign Launch - "Move Smooth, Shave Smooth"
Two of the most popular and well-received products of EDGEWELL PERSONAL CARE – the SCHICK EXACTA 2 SENSITIVE & SCHICK EXACTA 2 SYSTEM took center stage. 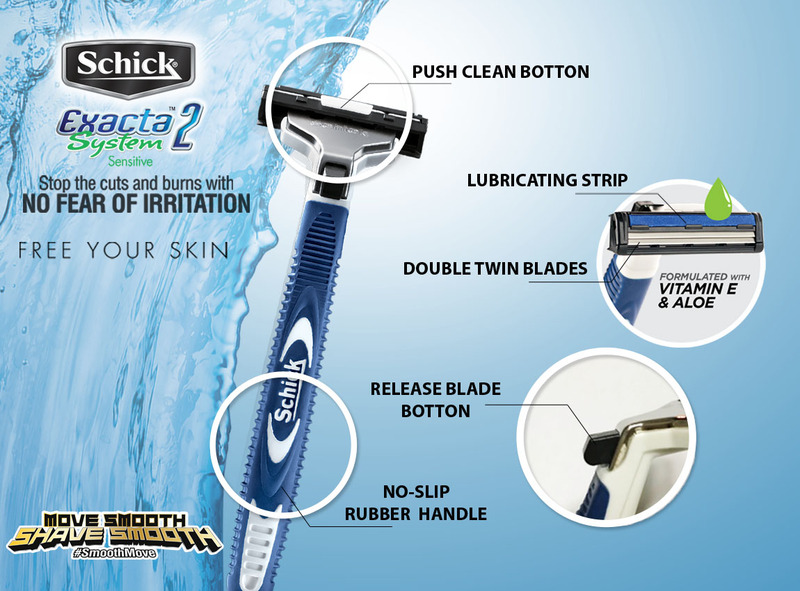 The Schick Exacta 2 Sensitive is a disposable razor especially designed for sensitive skin. 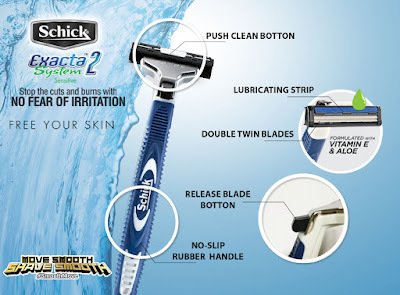 Though it is disposable, it boasts of many features that ordinary razors don’t have. It has a Safety Cap with air holes that protects you from accidentally cutting yourself from the razor’s blades. 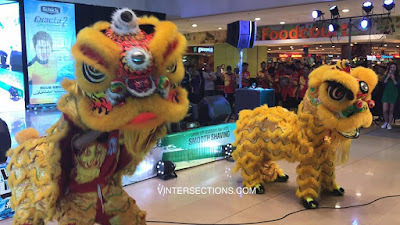 The same air hole also keeps the twin blades dry. It also has a Clean Push Button that makes cleaning the blades easy. 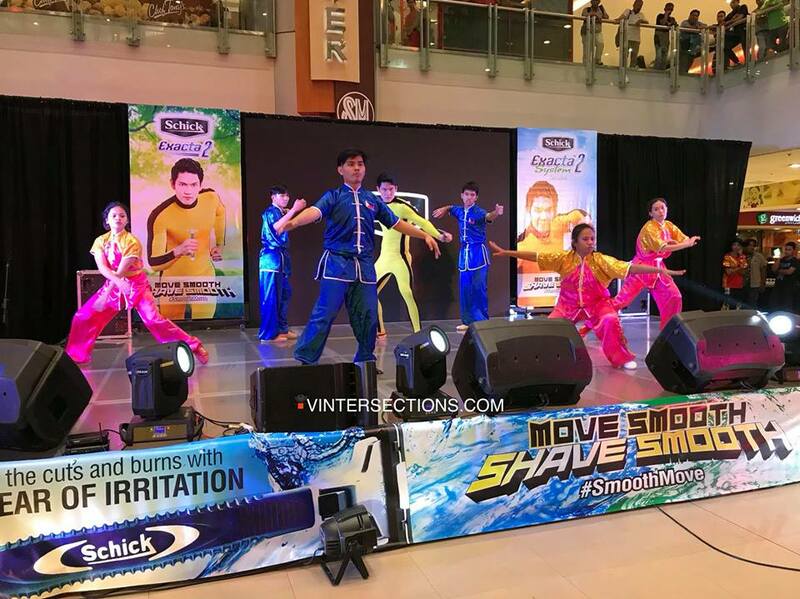 The Lubricating Strips with Vitamin E helps protects the skin and moisturizes it as you shave to prevent razor burns. 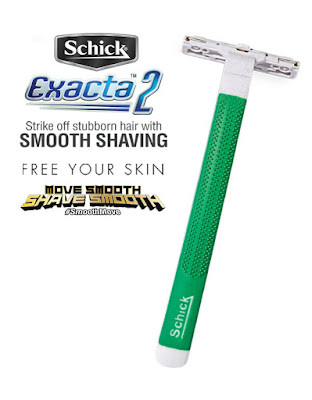 The handle is ergonomically designed with a No Slip Rubber Grip for easier handling and maneuvering when shaving. This prevents nicks & cuts since the handle gives you full control of the razor. And lastly, it has Twin Blades which makes shaving faster and smoother especially if you have stubborn hair. 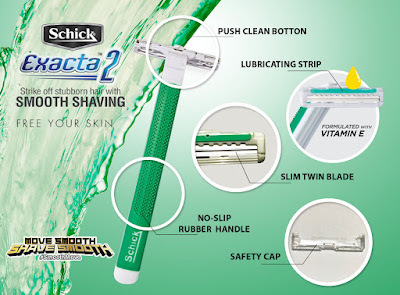 The Schick Exacta 2 System is an upgrade. 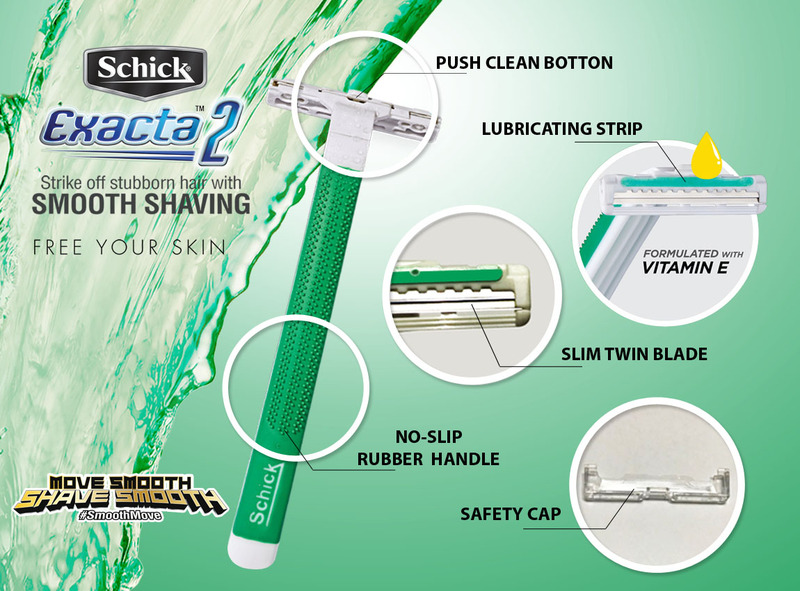 It is a reusable razor that also carries the same features as Exacta 2 Sensitive. Its Lubricating Strips is enhanced with Pro Vitamin B and Aloe Vera that moisturizes, protects and soothes the skin as you shave. 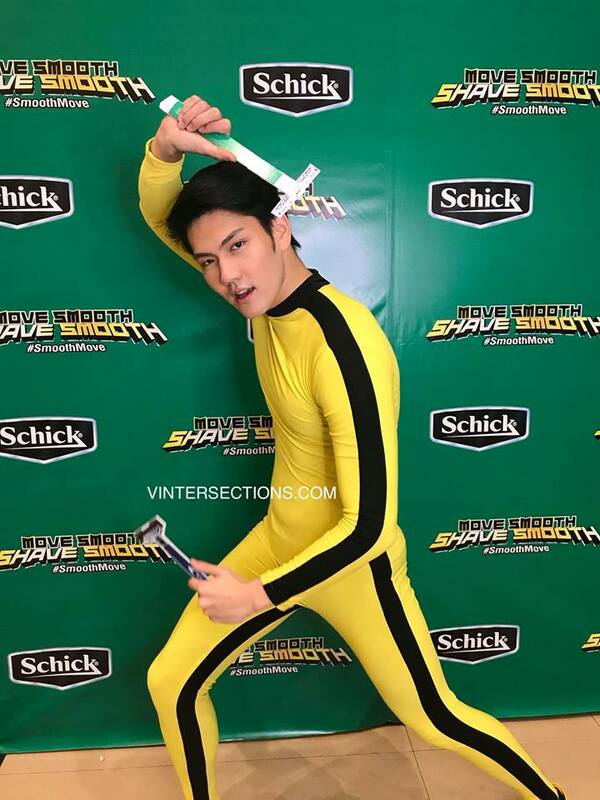 Plus, the twin blades are attached to a slim pivoting head that follows the contour of your face as you glide the razor giving you a very close and smooth shave. 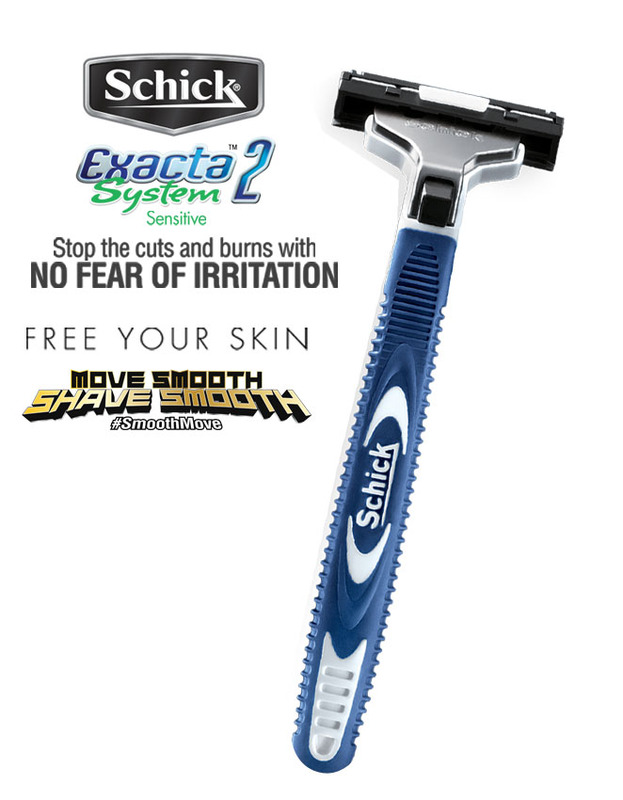 It also has the No Slip Grip and the Clean Push Button that is uniquely found only in Schick razors. Schick Razors are proud products of Edgewell Personal Care and being distributed by Getz Brothers Philippines.